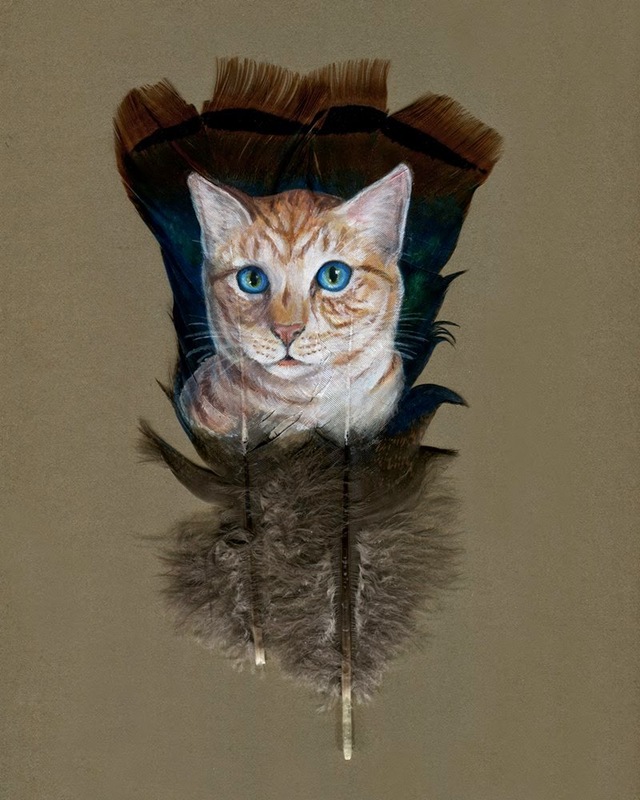 Contemporary artists boldly experiment not only with the subject of paintings, but also with the technique of their execution. 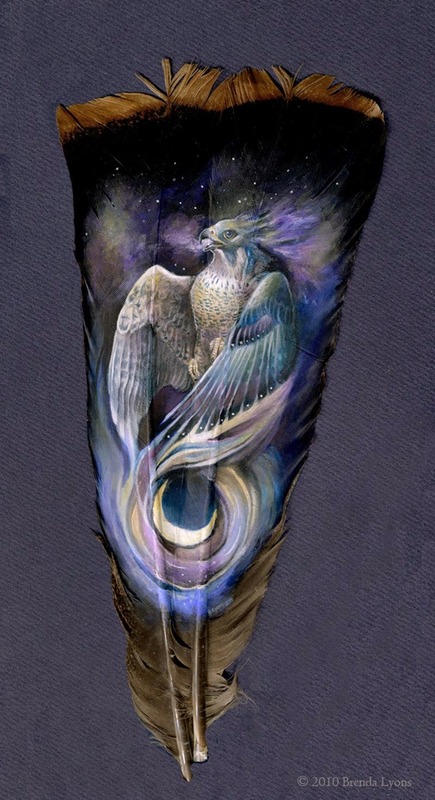 As some canvas masters manage to use feathers. 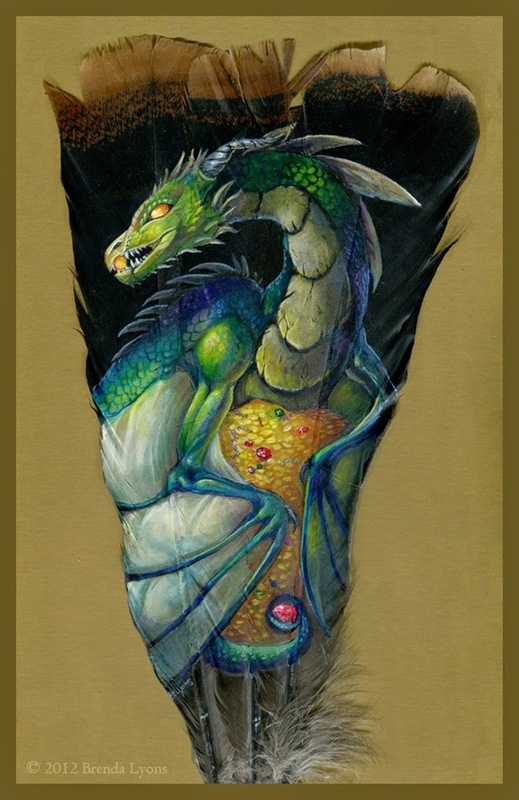 A striking example of such an original painting - art illustrator and jeweler Brenda Lyons. 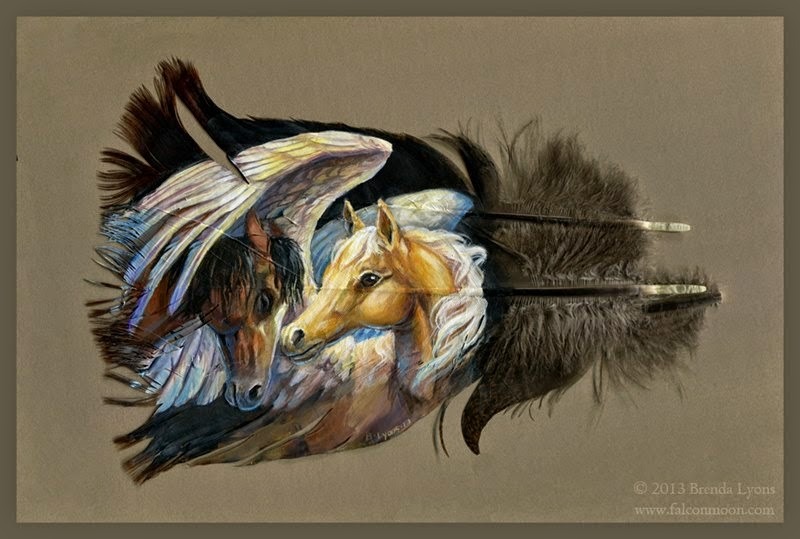 "Painted Feathers - a series of drawings on her turkey feathers. 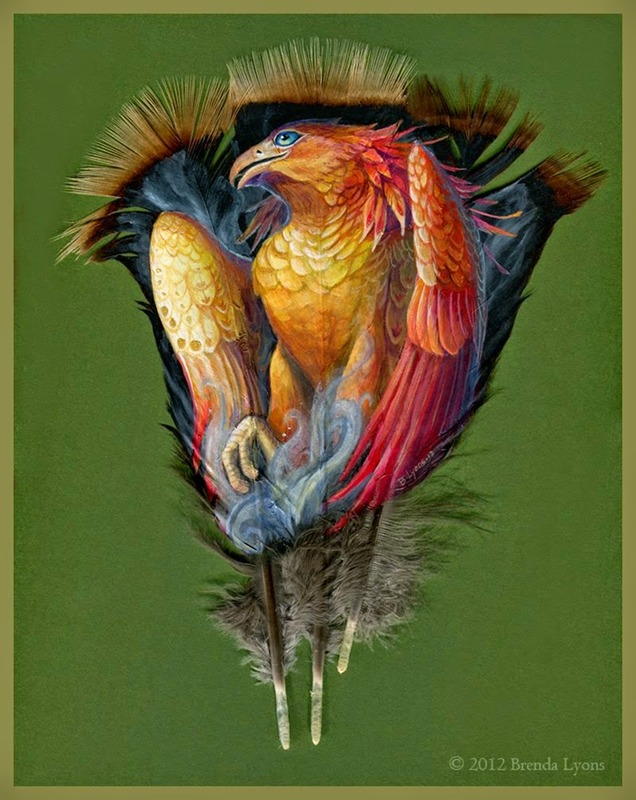 We repeatedly talked about painting, arts on feathers just like our previous post Feather Art by Chris Maynard. 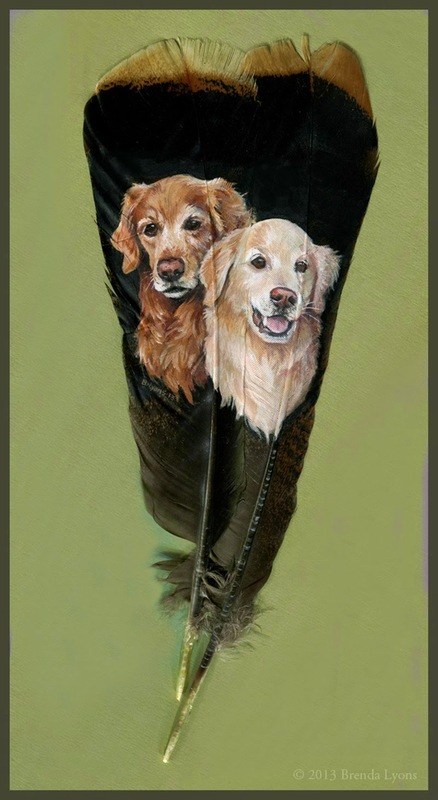 Brenda Lyons paints with acrylics, maximum detailing animal portraits. Inspire her own imagination and childhood memories of drawings by famous American naturalist and animal painter John James Audubon. 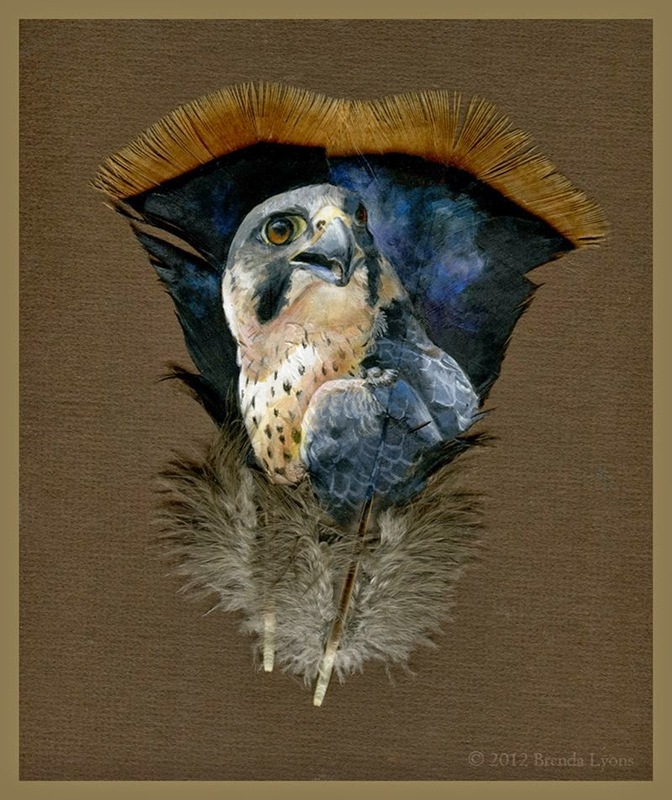 Brenda Lyons at an early age loved viewed Audubon drawing, which, by the way, considered "a monument of Ornithology," and under the impression from what you yourself began to study the life of birds of prey.